Fans of "The Lord of the Rings" film series will likely be drawn to the second installment of Peter Jackson's "The Hobbit" trilogy. Those who have seen "The Hobbit: An Unexpected Journey" will be familiar with the all-star cast featuring Ian McKellan, Martin Freeman and Richard Armitage, to name a few. The superb actors and actresses don't fail to deliver – even the original character, Tauriel, played by Evangeline Lilly, manages to fit into the story seamlessly. Fathers and daughters will appreciate her independence and fiery spirit. It'll definitely start some lively conversations. Orlando Bloom reprises his role as fan-favorite Legolas, providing Jackson's "The Lord of the Rings" fans with memories and a deeper sense of appreciation for his series. There's plenty of CG eye candy, and your ears will revel in the stirring scores from none other than Howard Shore, who did the music for Jackson's other Tolkien films. Furthermore, the intricately crafted costumes and props set up the fantasy environment perfectly, suspending any disbelief and drawing in audiences effortlessly. "The Hobbit: The Desolation of Smaug" is a darker tale than its predecessor, but features a number of comedic scenes that will break up the serious tone. There are even some heart-wrenching moments that fathers with more than one child will appreciate. 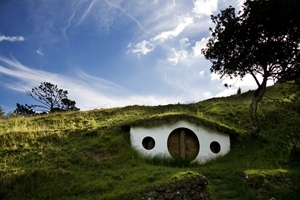 Romantic elements are present and cringe-worthy, but avid fans of "The Lord of the Rings" films will recognize references to the previous flicks. And rated at PG-13, you can expect a fair amount of violence, but nothing over the top. The lengthy film is nearly three hours long, so younger children won't be able to sit through the movie, regardless of how much action there is. If you have older kids who are fans of Peter Jackson's "The Lord of the Rings" series, it's a must-see. Make sure you view "The Hobbit: An Unexpected Journey" beforehand so you're familiar with the style, know what's happened thus far in the film trilogy and recognize who's who. There's a lot going on in the movie – the main storyline, side plots and background characters will grow in prominence later on, so don't be surprised if you leave the theater a bit overwhelmed. It'll definitely be worth a second (or third) viewing for avid fans.